This Valentine’s Day, shop local. 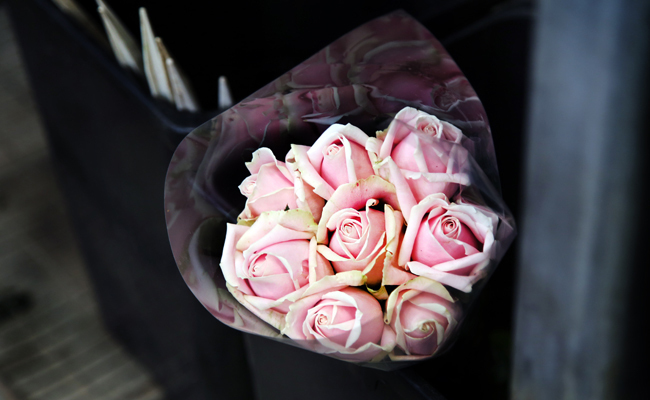 We are coming up to Valentine’s Day, when Americans spend $2 billion to buy 250 million roses. The majority of those now come from Colombia, thanks to the Andean Trade Preference Act brought in by George H.W. Bush to give farmers there an alternative to coca plants that fed the cocaine trade. According to Damian Paletta in the Washington Post, the industry now employs 130,000 Columbians and some make a case that it can even be called green, since they use no artificial lighting and farm workers walk or bike to work. Colombians have just about put American flower growers out of business, with production dropping 95 percent. In 2017, an average of 0.57 kilograms of fuel was burned to transport a kilogram of payload between these North and South American countries. Using the assumption that each flower weighs 0.05 kilograms … 4 billion flowers from Colombia weigh 200,000 metric tons. That is over 40 percent of the total airline-reported payload (both passengers and freight) transported on flights from Colombia to the United States. Therefore, flying that much sweet-smelling cargo burns 114 million liters of fuel and emits approximately 360,000 metric tons of CO2. That figure is just for the flowers, and does not include packaging that ensures that the product is not damaged during transport. Or, you could try one of Melissa’s 8 unique green alternatives to cut flowers. These are the kinds of difficult choices we have to make about our carbon footprint; the Colombian flower industry employs many thousands of people and probably does a better job of keeping the cocaine trade in check than a border wall, but comes with such a high price in carbon. There a high cost of trade.